Which one is better, Windows or Mac? It’s a religious argument that’s been going on for as long as time has existed. Or close. Of course it’s not important at all, but still people argue and argue as if it was, such a waste. 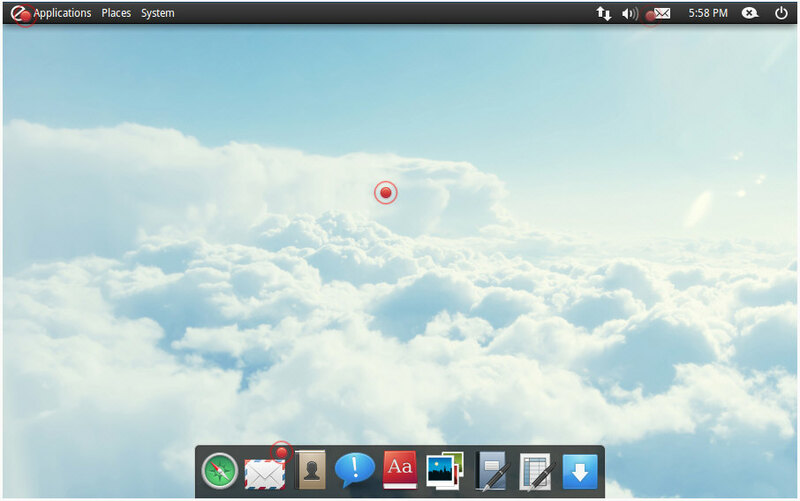 Now there’s a new way to incite even more discussion, because it looks as though Linux systems are slowly emerging from the shadows which mimic the iconic Mac desktop and more. Take Pear Linux Comice 4 for instance. This lovely little free operating system is based around the Debian version of Linux as many are, and comes with a gorgeous skin which delivers a lot of cool functionality in a very user friendly package. The interface features the familiar Mac type dock at the bottom of the screen, as well as a bunch of cool applications which come as standard (including my favourite LibreOffice). I just installed it on an Asus netbook (there’s a special netbook version of the software) and it took no time at all. In fact it took me more time to run UNetbootin so I could install the Pear ISO from a bootable USB stick instead of a CD, than it took to actually get the operating system going. Pear Comice runs beautifully alongside Windows 7, and if you’re worried, you can test it out first without installing it onto the hard disk, to make sure everything works as it should. It’s a lovely implementation and deserves lots of success. Another example of the genre which might be worth a look is the upcoming Elementary Luna system, which again is a Linux distro but this time based on the Ubuntu 12.10 core. Again it has a beautiful look and feel (note it’s still in private beta at the time of writing), as well as a lot of very user focused simplicity to encourage newcomers to Linux to dip their toe in. Both of these efforts offer the same kind of rapid boot, incredibly compact functionality and overall fast performance which is the hallmark of the modern Linux operating system. The old days of drivers not working or having to dig deep into the bowels of a nasty terminal window seem to be drifting away, so get ready to dig your old laptop out of the cupboard and give it a new lease of life as a rocket powered workhorse for everyday computing use. I just downloaded and put Comice 4 32 bit on an USB stick. My i7 booted nicely into it and at first I was unsure as to how to use it, but that puzzlement was resolved in less than 10 minutes of monkeying around with it. It is very polished and has a nice smooth feeling to how it does things. The first things that startled me was that there was no terminal. Me? Without a terminal? Yeah, right. I found though that if you hit the Comice button where the normal Applications menu is, you get the desktop for finding stuff and for setting what desktop you are using. You can also use alt-tab to switch among the various windows you may have open. This is really a nice desktop experience. I have to give the French designers a big thumbs up on this one. Actually Steve, I’ve just officially upgraded Pear Commice to Awesome. :) I plugged in my 3G USB dongle, clicked on the automatic broadband wizard button on the top nav, and within 3 minutes had a full 3G network running from my car. I have NEVER had a user experience like that with ANY operating system, WIndows, Android or LInux. This system is beyond magical.